For those immediate attentions, we offer WiFi access. 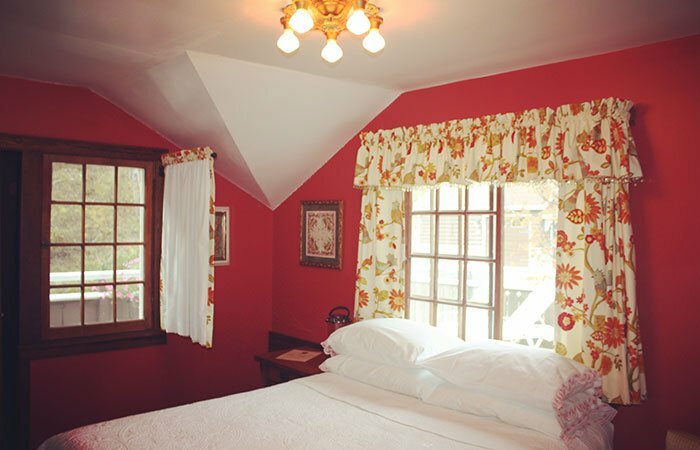 Our intention is to provide our guests the kind of hospitality and restful retreat a railroad baron would have appreciated. We hope that you will come and experience the stories, life, wonder and sheer beauty of Waterton, Glacier and our well loved home. 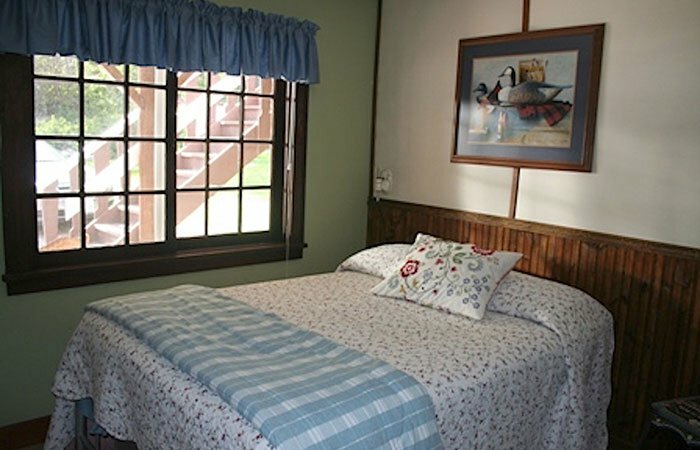 2 Double beds/private bath and fridge; located on the 2nd floor of the deck and facing the front of the building. Sitting outside Room #1 on the deck is a spectacular view of Mount Vimy. 1 Queen, 1 Double, 1 Twin bed / private bath and fridge; located upstairs off the deck facing the front of the building. Room #2 has a breathtaking view of Mount Vimy and the Citadel down the valley. 1 Double bed / private 1/2 bath (toilet and sink) shared shower with Room #7; located upstairs off the deck in the back corner of the building. 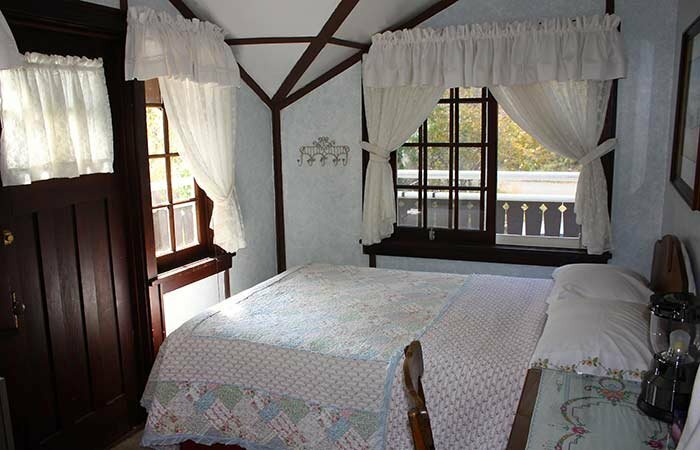 Room #3 has its own secluded deck space—very cozy! 1 Double bed/private bath, and fridge; located upstairs off the deck facing the back of the building. Room #4 has a wonderful view of Bear's Hump and the mountains behind the lodge. 1 Queen bed/private bath and fridge; located upstairs off the deck on the back side of the building. 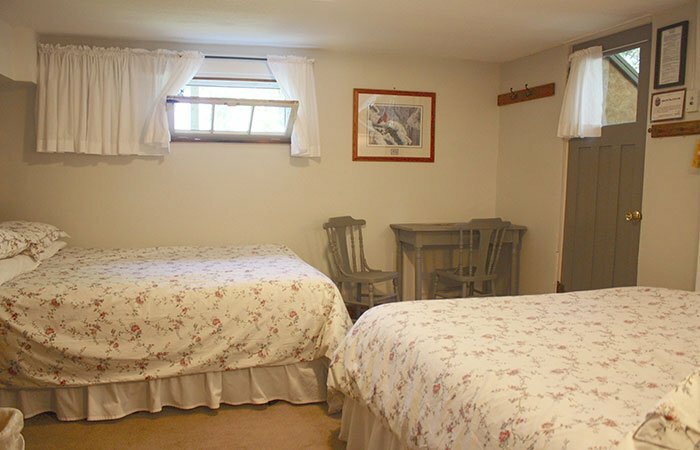 Room #5 has a bird's eye view of Bear's Hump and surrounding mountains. Being nestled up against the mountain means very little drive by traffic. 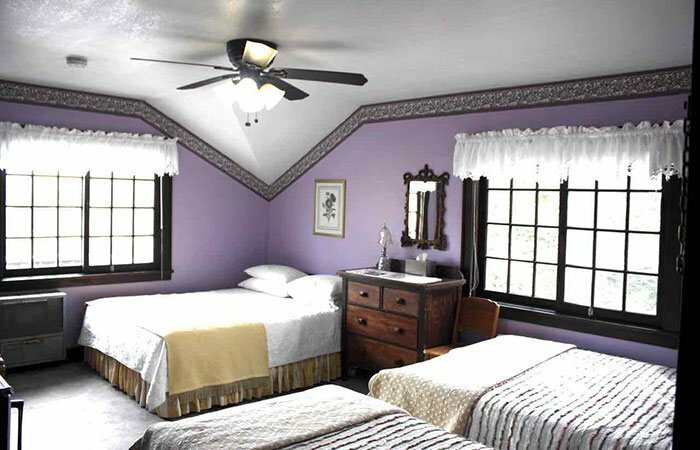 1 Queen bed, 1 Double bed / private bath, and fridge; located on the main floor. 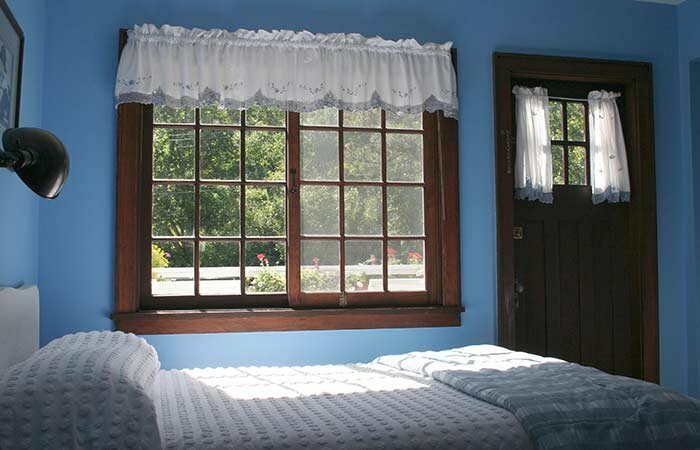 Room #6 has lots of gingerbread windows for light and amazing morning sun rises; complemented with bright flower boxes and access to the upper deck for enjoyment. 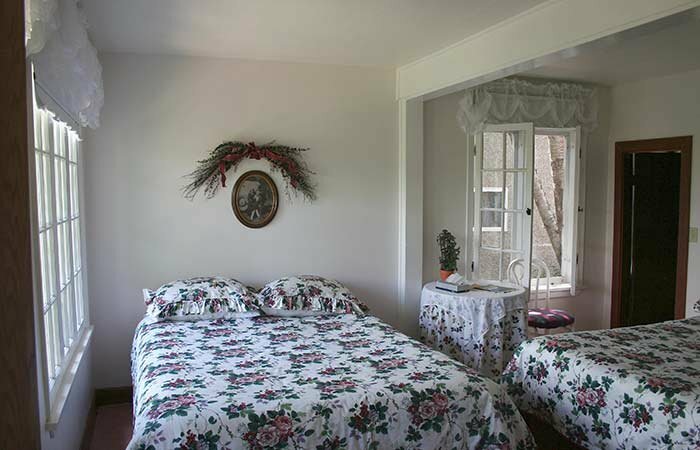 1 Double bed/shared bath with Room #3; located on the main floor. Room #7 has fridge access and use to the deck for enjoyment and relaxation. 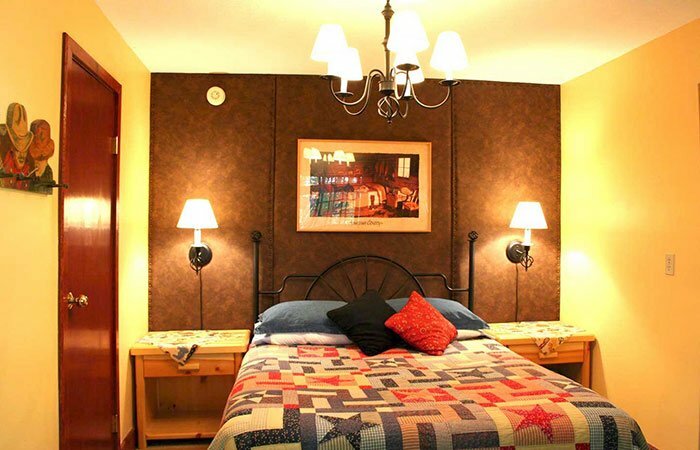 1 Queen bed/private bath and fridge; located on the main floor and nestled in the back of the building. Room #8 is off the back patio with table and chairs with which to enjoy the view of the mountains along with access to the upper deck. 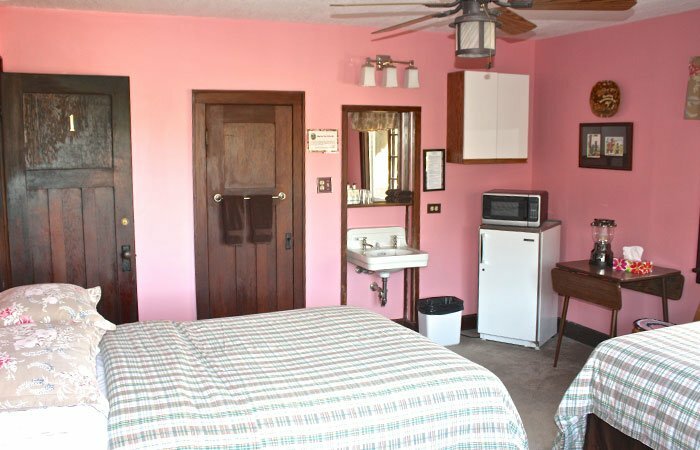 2 Queen beds/private bath and fridge; located on the basement level of the building. Room #9 is the coolest room in the house during those hot summer days and very quiet. This room also has access to the upper deck for enjoyment.